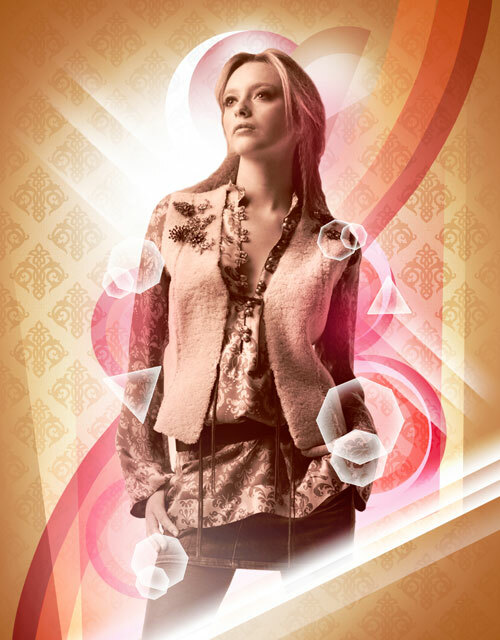 Today, I’m going to show you how to blend a stock image with shapes and pattern, add lightness and color to get a nice retro poster in Adobe Photoshop CS4. Layered PSD file included. Let’s get started! Create a new document (Ctrl+N) in Adobe Photoshop CS4 with the size 800px by 1024px (RGB color mode) at a resolution of 72 pixels/inch. 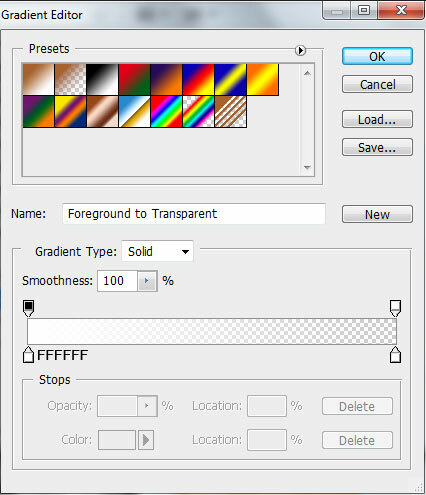 Create a new layer and click on Add a layer style icon from bottom part of the Layers panel and select Gradient Overlay. Desaturate the girl’s layer by selecting Image>Adjustments>Desaturate or just press CTRL+SHIFT+U. Take the same tool again and represent three more circles of the same colors and place them also lower than the girl’s layer. Using the same tool, represent two more ellipses above the girl’s head and place the layer under the girl’s one. Create a new layer and select Soft Round brush of white color (set Opacity to 20% in the Options bar). Use this brush to represent a kind of lightness above the girl’s head. Place the layer also lower than the girl’s one. Next we’ll generate the next pattern using Bgpatterns site. Download the pattern file. 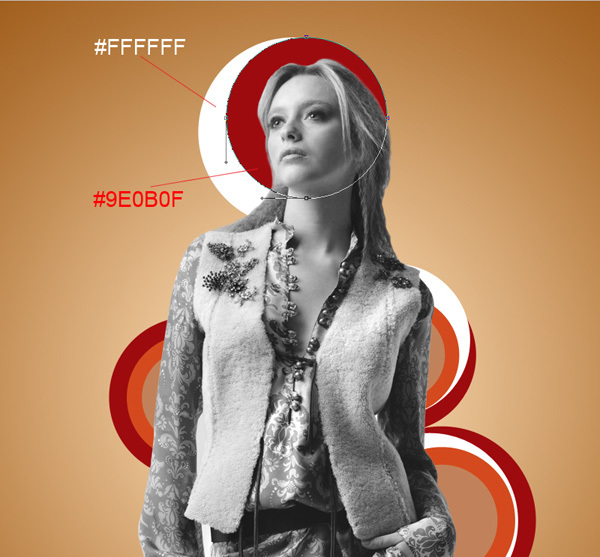 Open it in Adobe Photoshop and choose Edit > Define Pattern. Enter a name for the pattern in the Pattern Name dialog box. Get back to the girl’s document and create a new layer. Choose Edit > Fill to fill the new layer. In the Fill dialog box, for Use, choose Pattern, select recent created pattern from the pop-up panel, and click OK. Place the layer under the girl’s one. 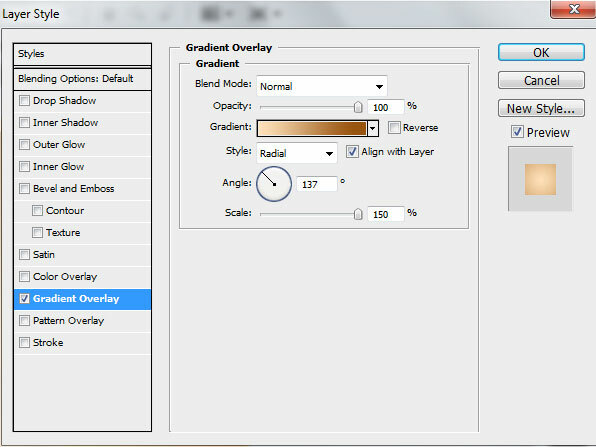 Set Fill to 29% for this layer and change the Blending mode to Luminosity. Next we have to represent a half circle. In this case we’ll use the Ellipse Tool (U) to draw an ellipse and then press Alt button while using the Rectangle Tool (U) to cut out the ellipse. 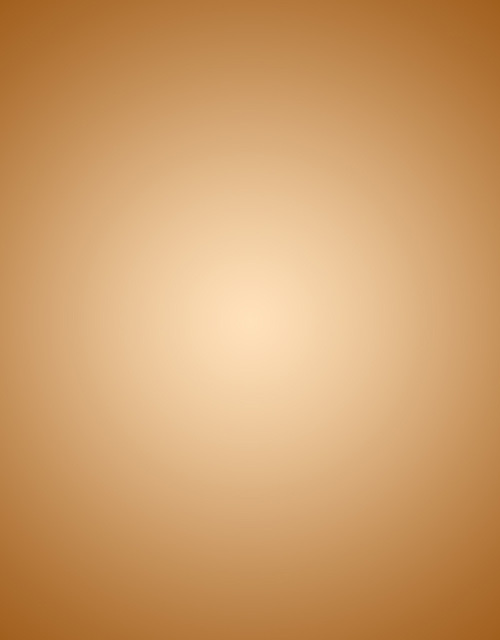 The color for it is #A7622E. Place the layer under the girl’s one. 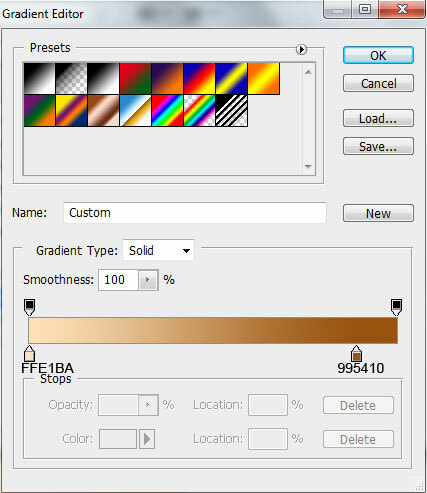 Set Fill to 0% for this layer and click Add a layer style icon from bottom part of the Layers panel to select Gradient Overlay. We’ve got the next result. 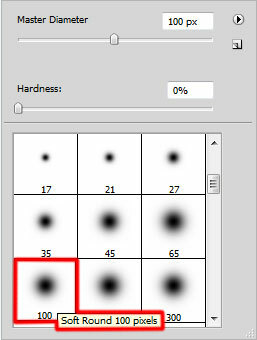 Create a new layer and select the Soft Round brush of white color (set Opacity to 15% in Options bar). Take now the Pen Tool (P), set the drawing mode on Shape Layers in Options bar to draw the next shapes as shown and place them under the girl’s layer. Set the Blending mode to Hard Light for each layer containing the shape. 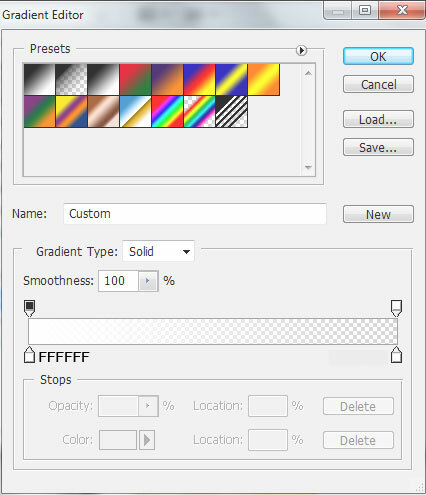 Next we have to combine in a group all the layers composing those three shapes (press CTRL button to select the necessary layers in Layers panel and hold on the left mouse’s button while dragging the selected layers on Create a new group icon from bottom part of the Layers panel). Take now the Rectangle Tool (U) and draw a rectangle. Place the layer under the girl’s one. We’ve got the next gradient on the rectangle. Using the Pen Tool (P), try to represent the next shape of white color and place it under the girl’s layer.